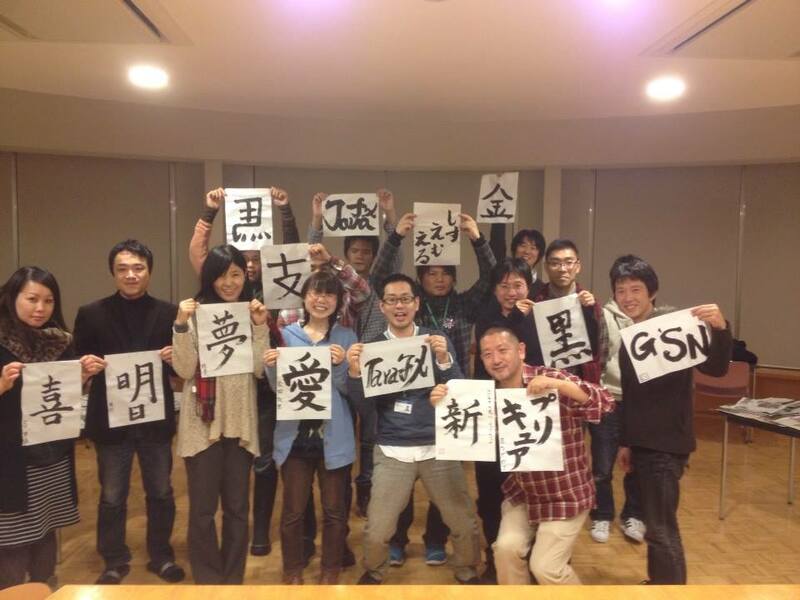 On Jan.6, we held a small party as a start of the year 2014 at Change Vision, Fukui office. 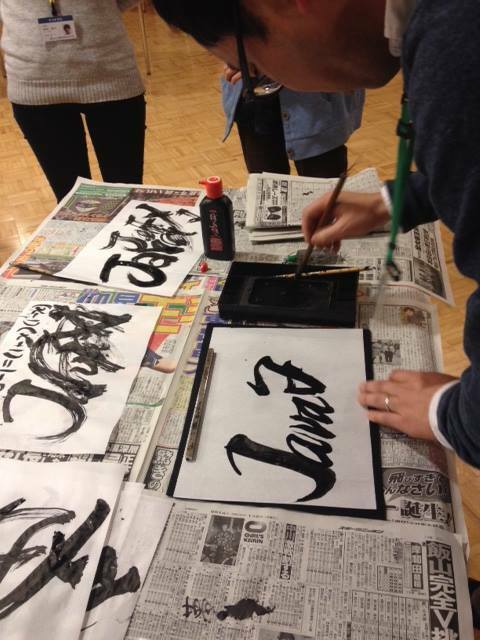 Doing Calligraphy for new year resolution is our tradition. Do you want to know what each piece means? From here, getting a bit realistic..
Hope our customers, all the members of Friends of Astah, and developers using Astah, including you have had a great start to the new year. Looking back on the last year, I visited a lot of places to show Astah outside of Japan. I’m sooooo much grateful to “Friends of Astah” who helped me a lot during my travels to India, Germany, and Canada, especially, I’d like to thank Nabi(at SAP Germany), Klaus(in Germany), Jan and Brita at HIS, Anna(at PHP Quebec who is also organizing ConFoo.ca), and Prem(in India) for the local arrangement, helps and much more. 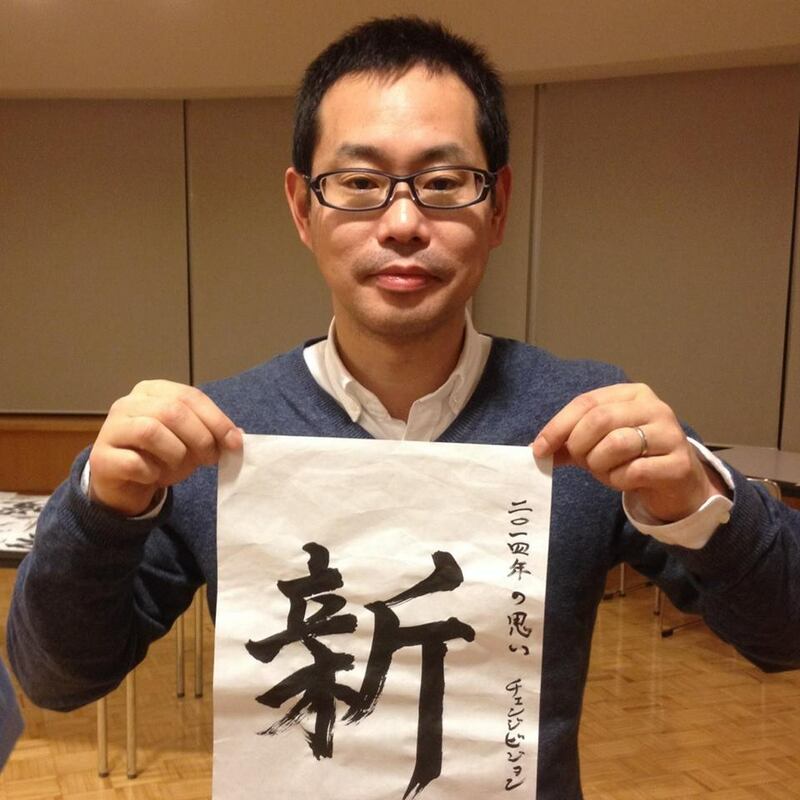 Well, that’s all from Fukui, Japan as new year greetings. Anyway, starting your 2014 with upgrading Astah to 6.8 may be a good idea ! What does mean you paper, Satomi? Ah, sorry, I couldnt identify the picture by the letter.